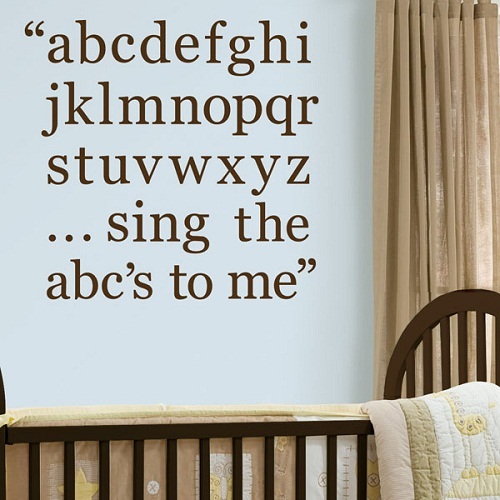 Brilliant for a boy or girl, Espresso Brown Alphabet Letters are a beautiful nursery décor idea. Use these letter wall decals to spell out a name, cute phrase, or put the whole alphabet on the wall for a stylish and educational wall accent. These letters are great for organization and labeling, too. Alphabet Sets contain four 17 1/4" x 9 3/4" sheets and a total of 87 pieces.